This quilt is the second version of the Goose quilt sans appliqué. I designed this block-of-the-month to teach all the different way a flying goose block can be constructed. 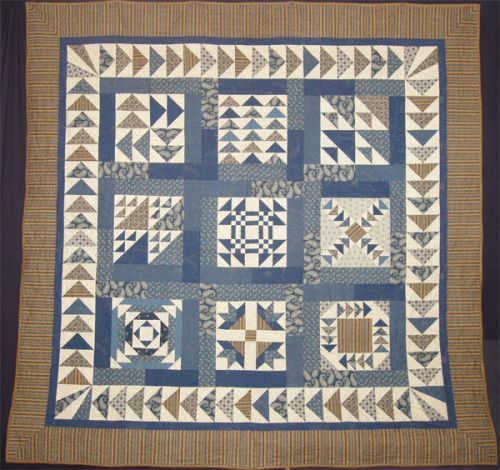 The detail of the quilting shows geese actually flying across the quilt. The pattern is currently a FREE BLOCK OF THE MONTH in my blog. Go to my blog and in the search box look for "block of the Month".